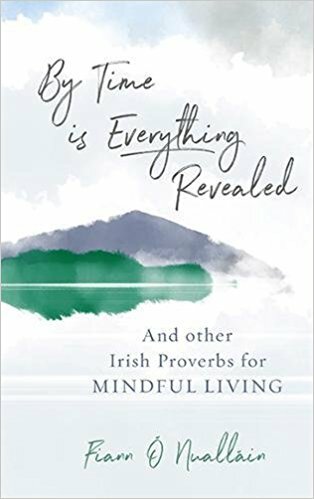 By time is everything revealed – a book about mindful living inspired by old Irish proverbial wisdom: Proverbs stand the test of time because, as we explore their meaning, we find they contain timeless wisdom that can help us lead happier, calmer and more meaningful lives. As familiar as grandma’s wise words as comforting as familiar idioms, they are the life strategies passed from generation to generation, they are the ancestral advice for this and future generations. 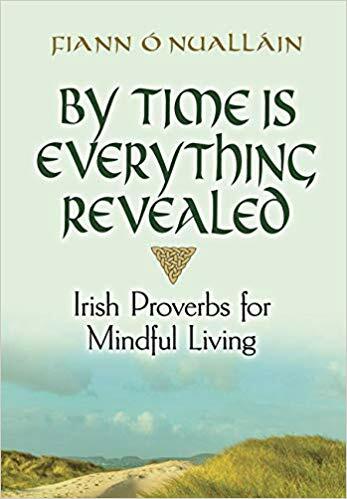 By Time is Everything Revealed contains fifty-two proverbs – one for every week of the year – each carefully chosen to speak directly to the worries and stresses that have become part of modern life. The author unlocks each proverb’s meaning and combines it with a mindfulness exercise to offer a new set of tools for mindful living, psychological wellbeing and spiritual awareness. Available to purchase here http://bit.ly/time-revealed and here https://www.gillbooks.ie/featured-authors/authors-mind-body-spirit/fiann-onuallain and in all good bookstores. I am currently working on a book about strategies to disarm depression – it will incorporate simple changes you can make to improve your mental health from mood food recipes to CBT and psychotherapy techniques.